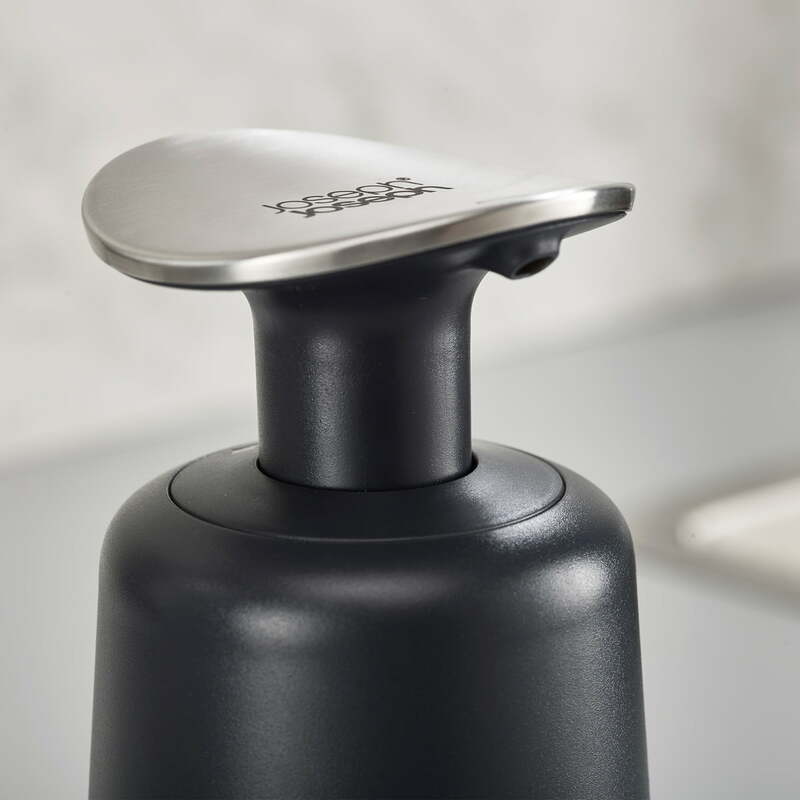 Presto by Joseph Joseph is a hygienic soap dispenser with a large stainless steel pump head for easy wrist or forearm operation. This keeps the soap dispenser clean when your hands are dirty. This is particularly important when washing hands after preparing raw meat or fish. The soap dispenser with a capacity of 250 ml is suitable for all types of liquid hand soap. A transparent window serves to check the filling level and overfilling is prevented by a marking in the container. A non-slip floor also keeps the soap dispenser in place when pumping. 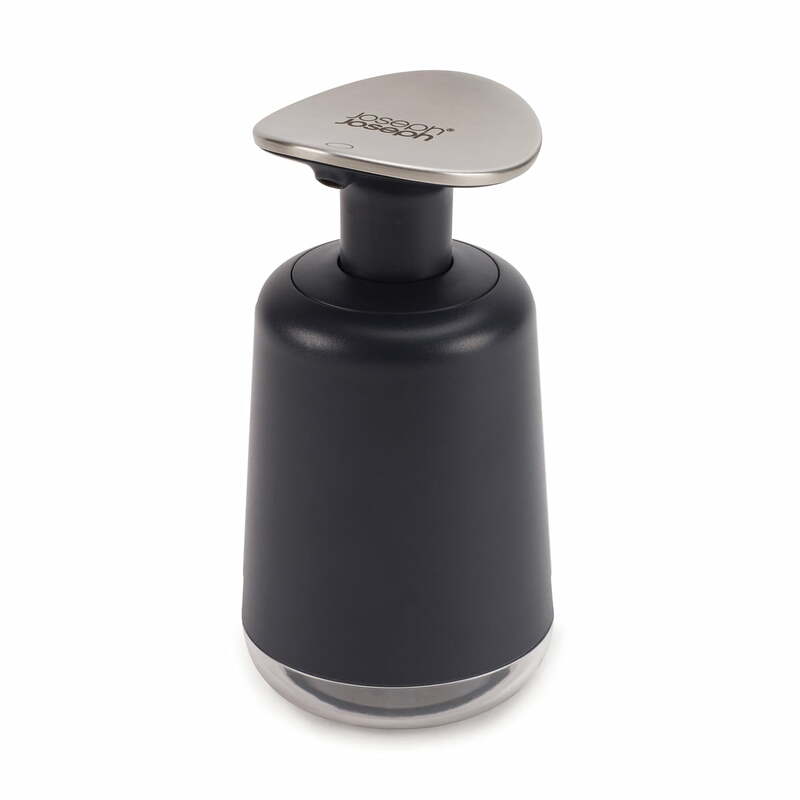 Presto by Joseph Joseph is a hygienic soap dispenser with a large stainless steel pump head for easy wrist or forearm operation. This keeps the soap dispenser clean when your hands are dirty. 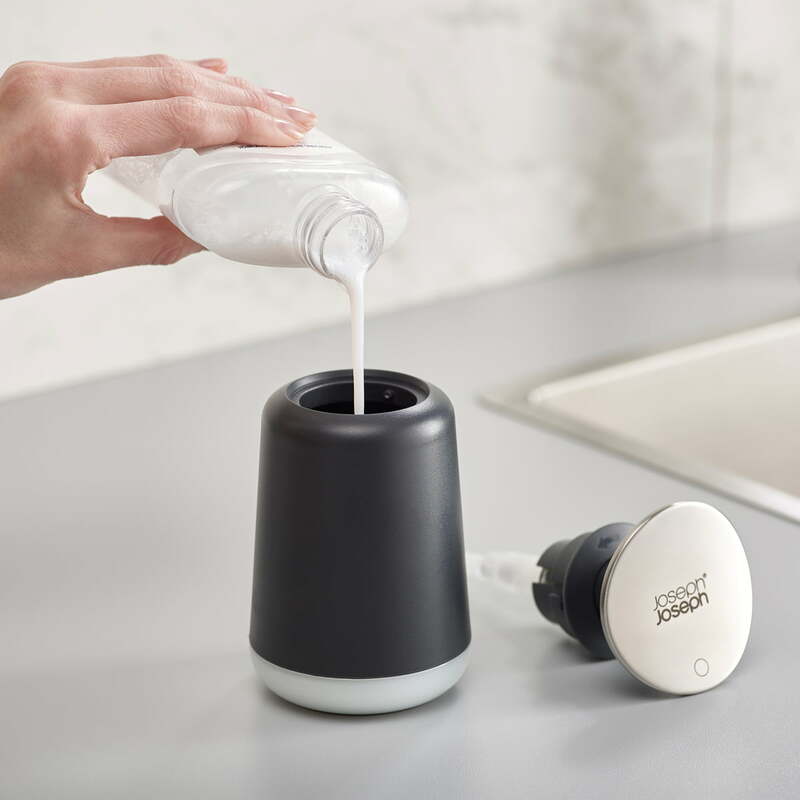 The Presto Hygienic Soap Dispenser by Joseph Joseph. A transparent window serves to check the filling level and overfilling is prevented by a marking in the container.